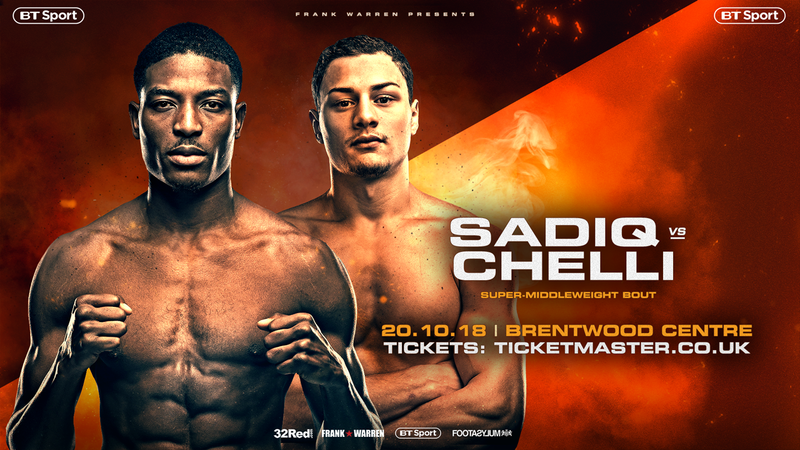 UMAR SADIQ only affords his next opponent, Zak Chelli, a puncher’s chance when the two unbeaten super middleweights come together in what should be a fascinating match-up at the Brentwood Centre next Saturday (October 20). Sadiq suspects a heavy punch is the only weapon of note in the Chelli armoury and dealing with a puncher is something he is well equipped to withstand. “He is very explosive and a good challenge but I had 45 amateur fights and 36 of those were at elite level,” reasoned the 30-year-old with three professional fights under his belt. “So I am used to going in there with guys who are national champions, county champions or champions from other countries – and many of them could whack. “So the fact that he can whack doesn’t intimidate me, especially because I am sparring cruiserweights and light heavyweights on a regular basis. I also believe I am much better than him. 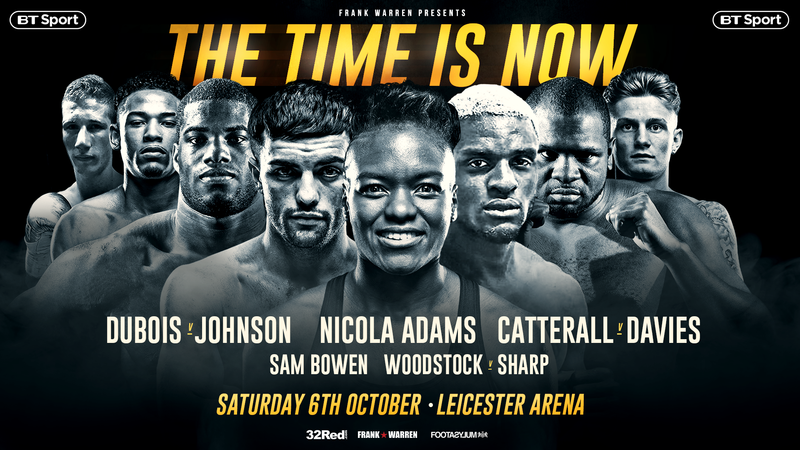 While each boxer will bring a completely contrasting style of fighting into the ring, live on BT Sport, Sadiq believes the clash could well provide compelling viewing. “I don’t know, it could be awkward, but they could also gel really well. He is a brawler and I am a boxer-puncher and it can end up gelling well. Archie Sharp and Lyon Woodstock gelled really well last weekend and Archie is a boxer-puncher, while Lyon in that fight was seemingly a brawler. 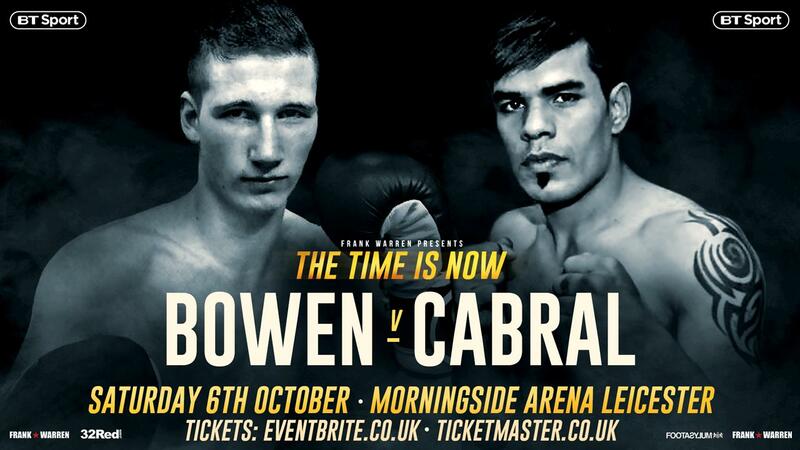 “Hopefully we will get another great fight for the fans on BT Sport. “The truth is I rate him as a puncher and that’s where it stops,” added the Ilford man, who goes along with the thought process that Chelli will stalk him with the aim of knocking his block off. “I believe so. I saw an interview where he was saying he can box long and all that, but he could never ever try to outbox me. That is a fact and he knows that, regardless of who he is trying to fool. AFTER A MEDICAL mishap resulted in him missing out on a June date, Ryan Garner has been keeping good company as he prepares for a return to the ring at the Morningside Arena in Leicester on Saturday. The featherweight prospect – who faces Elvis Guillen in his eighth professional contest – after sparring Carl Frampton in the build-up to the Jackal’s huge Windsor Park occasion against Luke Jackson, has maintained the Northern Irish theme by trading friendly fire against Michael Conlan. The 20-year-old also embarked on a week-long camp to join British featherweight champion Ryan Walsh for sparring over in Tenerife. “Obviously I was supposed to fight in June but on the Thursday before the fight we got a call to say that my brain scan was out of date and we couldn’t get it done in time,” reflected Ryan on being absent from the 02 Arena show. “I was gutted but it was just a mistake from us. It won’t happen again, don’t worry, we’ve all got it written down now – my mum, my dad, all of us. “For this fight now I have sparred Michael Conlan for my last spar of camp and before that we were over in Tenerife sparring Ryan Walsh. That was a really good week and we did an eight and ten round spar together. “It was just the whole different thing training out there and I really enjoyed it. All your focus on is solely on training and resting, so it made a really good camp for me. 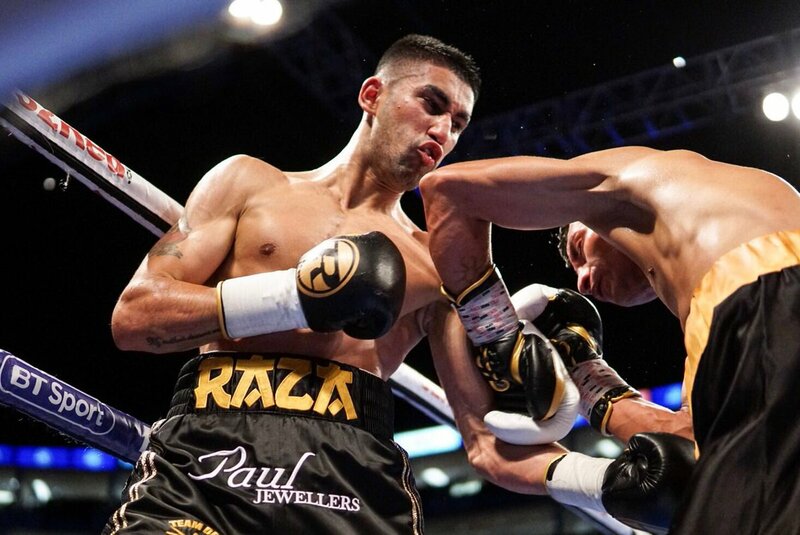 Exchanging blows with British champion Walsh and blue chip prospect Conlan provides Ryan with a useful measuring stick when it comes to charting his own progress in the pro game. “I’m getting closer and closer every day, I feel. 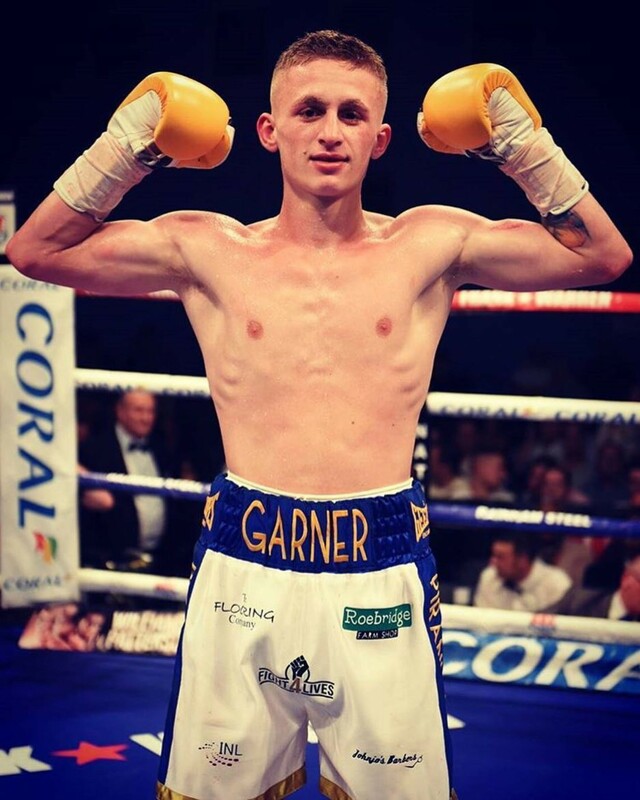 With every camp I’m having I am getting better and better all the time,” he stated, before adding that he is banking on his promoter Frank Warren steering him towards title contention next year now the pair have renewed their promotional pact. “We have signed a new contract just to show we are both committed to each other and I owe him massively because he has been there for me through thick and thin. “We are putting our futures together and I am happy about that because he has stuck by me and I truly believe that he can take me to where I want to be. “We’ve got a good relationship and he rates me, so why would I want to go anywhere else? 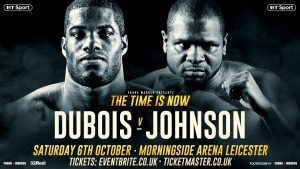 The Brummie boxer looks forward to getting back into the ring in Leicester on October 6th and admits that whoever the opponent, the fight will be a test of his strength; mentally rather than physically. “Everything that’s happened recently with me, losing my younger brother, I’m just waiting to see how I react in the ring” said the 26-year-old. He continued: “This will be the first time my brother won’t be there so the most important thing for me is how I react without my brother being there watching me. I’m looking forward to coming back and seeing how I perform. “The adversity’s I’ve been through in my life, boxing doesn’t worry me no more. I’ve got nothing to lose now and I believe that makes me a very dangerous person in the ring. Hamza turned professional in 2015 and has so far accumulated a record consisting of ten victories and one draw. Opponent pull-outs has been an unlucky reoccurrence in the past 12 months, including a big step-up clash with former WBO European champion Lewis Pettitt falling through in June. “The Pettitt pull out I feel has made me go a little stale, I’m still waiting for that big breakthrough. NICOLA ADAMS believes a fourth straight knockout win is the best way to keep her fan base growing. 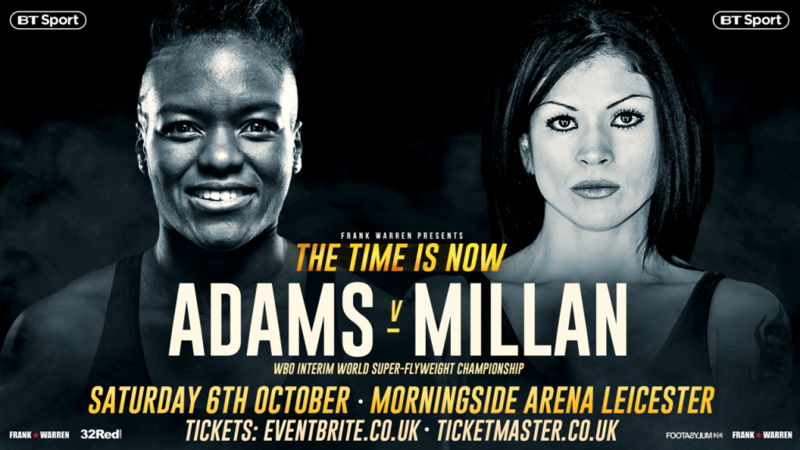 Adams (4-0) faces her first major professional test when she meets Mexican Isabel Millan (22-4-1) for the vacant interim WBO female Flyweight crown at Leicester’s Morningside Arena on Saturday October 6. He last three opponents Maryan Salazar, Soledad Macedo and Soledad del Valle Frias have all been stopped inside three rounds. Now, the double Olympic gold medallist whose popularity is soaring expects experienced Millan to go the same way. Adams, 35, said: “I am happy to get a reputation as a puncher and I want that to continue. That is what people want to see. “They want to see entertaining fights. They want to see knockouts and that is what I want to continue to deliver. “I just hope Isabel comes ready to fight because I want to put on a show for the crowd and then it’s onto the next one. If she comes through against Millan, promoter Frank Warren is confident of luring full WBO champion Arely Mucino to Britain to defend against Adams. But Adams won’t be content with her fight career until she has dominated all the flyweight division champions besides Mucina – Leonela Paola Yudica (IBF), Naoko Fujioka (WBA) and Ibeth Zamora Silva (WBC). “I want to unify the flyweight division and I may do a little bit more in boxing after, but that is my goal right now,” she added. “There are so many more girls and women getting involved in boxing now at amateur level and I’m sure that will filter through to the pros. “Listen, what did he want me to do? Actually if I was allowed to fight him lying on the floor I would still have taken it, somehow. “Nobody has ever called me out really. Even in the little spat I had with Mitchell Smith he wasn’t calling me out, so this is the first guy trying to talk my name. “I was like ‘ok, let’s get it on then’. I said a date for the Leeds show because I knew I was on it and thought ‘f**k it, come on then’ and he was like ‘no, no, no, we’ll do it in September’. “I was like ‘you’ve spoke my name now’. I am like the Candyman, you say my name three times and I’m gonna come and get you! “There really has been no history here, just him calling my name and that is what you get from these privileged boys, who like to do that. “I just see it as another challenge, another moment for me to show everyone who I am and prove to everyone that I am the real business and I will be here for a long time as well. “I haven’t seen a lot of him fighting but I have seen enough of him. How I see it is that my natural, typical style beats his every day. He is going to have to pull something special out of the bag to beat me. “I keep hearing about his time as an amateur but that doesn’t mean sh*t. If you want to bring up stuff that I was doing at 16, what relevance does it have now. “We’re in the pro game now and, really, you don’t want to know what I was getting up at 16! “What we are doing now is big boys sport, a man’s game and only the grown ups will survive, so we will see. “It is a good match-up though that people like to see and it is what I got into boxing for – the big fights, the big stages, the big crowds, big money, the glory, everything. He continued: “But it’s a big transition to make, especially for a heavyweight. There is always a danger that they haven’t seen what an experienced, veteran fighter can bring to them. Let’s see what happens when he steps into that ring against me. 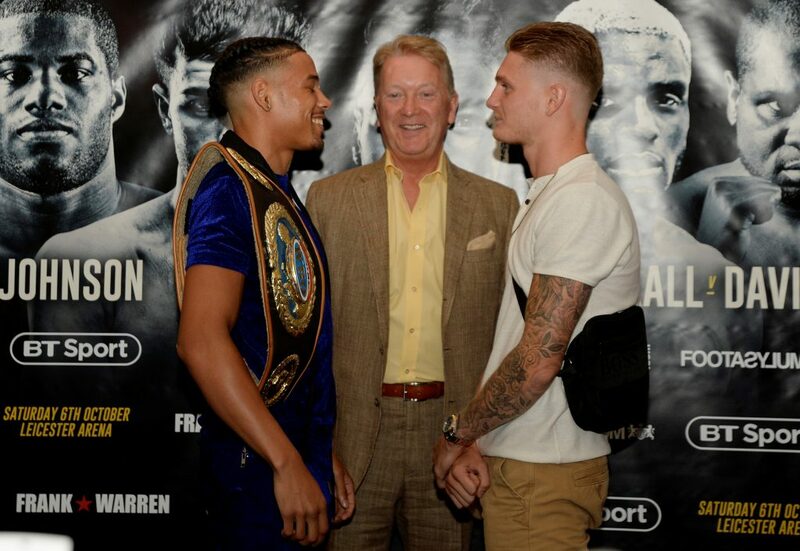 Heffron’s promoter Frank Warren won the purse bids to stage Welborn’s (24-6) second title defence and the fight will take place before the end of this year. 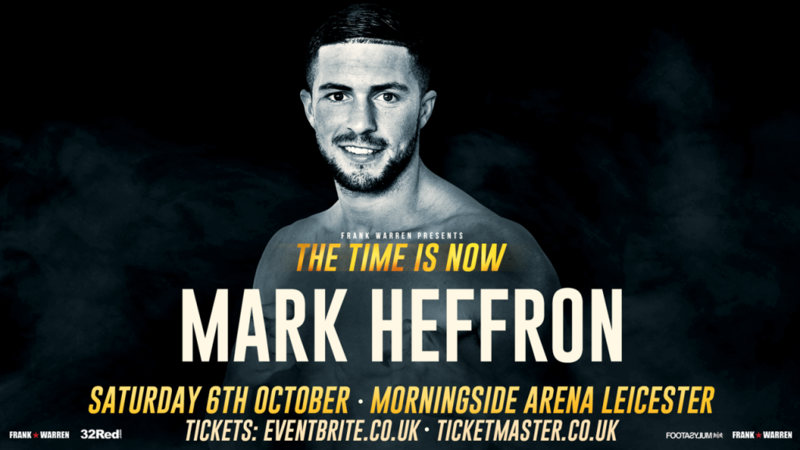 Heffron (20-0) will have a warm-up at Leicester’s Morningside Arena on Saturday October 6 before the biggest test of his career. The Oldham puncher who has KO’d 16 of his victims said: “Welborn is pretty one-dimensional, comes forward, looks solid and it is a fight I cannot wait to happen. “I have been a long time waiting for this chance so I am absolutely buzzing. I couldn’t be more ready. Heffron, 26, has been a professional for eight years and is targeting world ranked Martin Murray if he gets past Welborn. He added: “It is one step at a time and all about getting the right fights, but next year if all goes well against Welborn I’m looking at facing men like Martin Murray. Heffron admits that he has often been accused of jumping trainers during his career, but insists he’s settled under Robert Rimmer. He explained: “My manager Kevin Maree helped me out for the last couple of fights and now I am with Robert. “I get plenty one-to-one time with him and he is always varying training away from the gym with different runs and swimming. There is something different every day. “It looks like I have jumped from gym to gym, but I have been using different gyms when I haven’t had a fight date. Birmingham’s Welborn, 32, took the British title from Tommy Langford on a split decision in May. he repeated that win with another split decision in their rematch earlier this month.